We threw our little man a very intimate space themed birthday party. 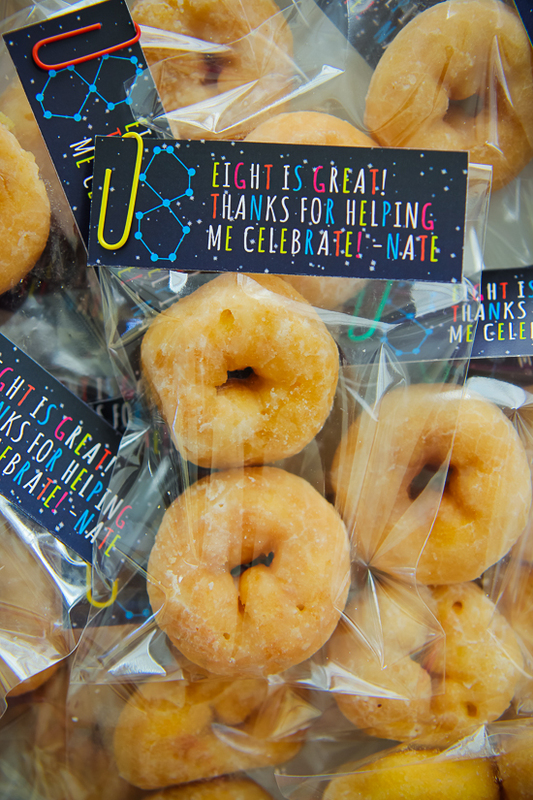 So, to give him the opportunity to celebrate his special day with his classmates, we made these 8 is Great Donut Favors with favor tags that matched his party theme. I normally don't like to mix staples, kids, and food, so we used colorful paperclips to help secure the bags and the favor tags. Afterwards, the kids can use the paperclips for school. Cute and practical.